This “opportunity divide” further compounds a chronic challenge for recruiters – the lack of available talent. More than three quarters (78 per cent) of respondents claimed that dealing with shallow talent pools and skills shortages and gaps will be a top hiring challenge this year. In fact, 57 per cent of respondents agreed that skills shortages in certain sectors in the UK are worse in 2019 than they were five years ago. Reskilling the workforce – and understanding the role recruiters should play in this process – was the third most commonly cited hiring challenge for 2019. A quarter (25 percent) said that reskilling workers due to the changing nature of jobs will be a daunting prospect. Despite this challenge, 77 per cent agreed that reskilling workers will be an effective way to address the problem of shallow talent pools. 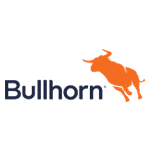 Bullhorn is the global leader in CRM and operations software for the recruitment industry. More than 8,000 staffing companies worldwide rely on Bullhorn’s cloud-based platform to drive sales, build relationships, and power their recruitment processes from end to end. Headquartered in Boston, with offices around the world, Bullhorn is founder-led and employs more than 900 people globally. To learn more, visit www.bullhorn.com/uk or follow @BullhornUK on Twitter.